Could humans ever live on Mars? Award-winning architect gave a positive answer and even a timescale to this question: in 100 years. Bjarke Ingels, named by Time magazine in 2016 as among the "100 Most Influential People in the World," said he had already been working at the first step of human's occupation of the planet - a project called Mars Science City. 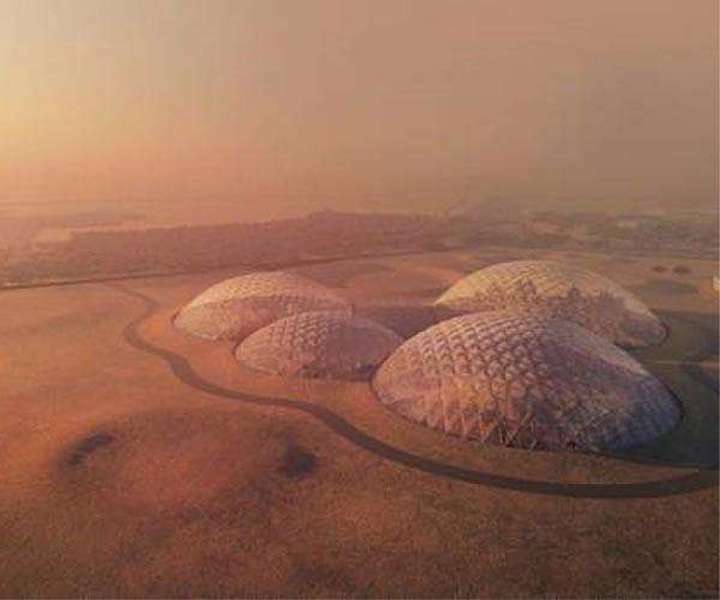 The 140-million-U.S.-dollar research city is a "viable and realistic model to simulate living on the surface of Mars," according to the government of United Arab Emirates (UAE), which launched the project last year. "We want to create a prototype where you can experience how it's going to feel like living in Mars, and for education, research and exhibitions," said Ingels, who is also the designer of the project, at the World Government Summit 2018 held in Dubai Monday. The architect believed that humans would be able to inhabit Mars because of our ingenuity and resolve. "The timescale for this is that in 99 years, in 2117, we are going to have an Emirates city on Mars," he said. Once Mars is "colonized," Ingels said, humans could use Mars' natural sources, such as frozen water, sand, rocks and gases in the atmosphere, to create everything from Martian concrete and glass to electronics. As for the harsh environment that poses challenges to human survival, such as high radiation, the architect suggested that by sleeping underground, it would be possible to reduce radiation levels to less than those experienced by airline crew. Ingels said by striving to build a "man-made ecosystem" on the Red Planet, humans would have to maximize efficiency and ingenuity in farming, architecture and many other fields. This knowledge and practice would be replicated on Earth to reach a pinnacle in sustainable living, he said.